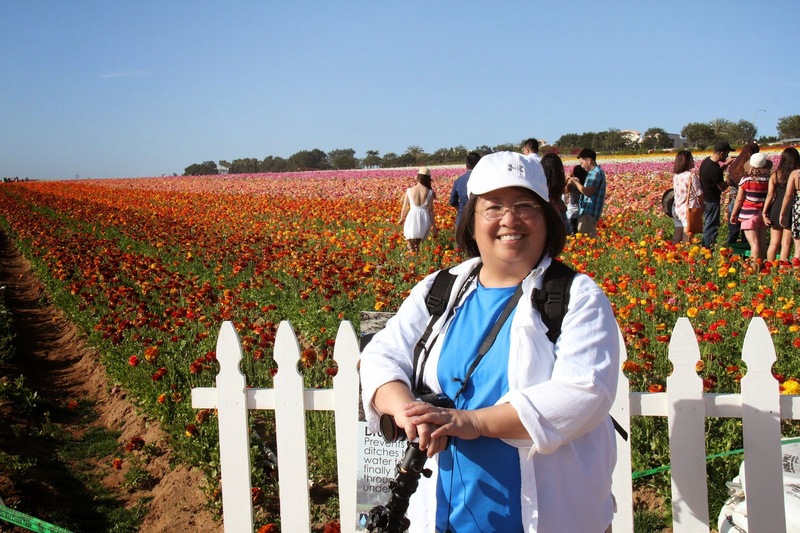 And one place to go to enjoy the flowers of spring is the Carlsbad Flower Fields in Carlsbad, CA. We drove down to Carlsbad last Saturday, unfortunately it took us 4 hours to get there, it’s just 153 miles away from home. Too traffic that day, but it did not bother us. We really don’t want to miss this seasonal event. The field stared in early 1920s, an English horticulturist named Luther Gage and his family left their native country of England to make a new home in Southern California. Prior to his immigration, Gage had taken a special interest in the beautiful ranunculus flower, and in particular, the giant strain of ranunculus now known as Giant Tecolote Ranunculus. This strong floral appreciation motivated Gage to bring a collection of seeds along on the journey, subsequently resulting in the first ranunculus flowers known to be planted in North America. 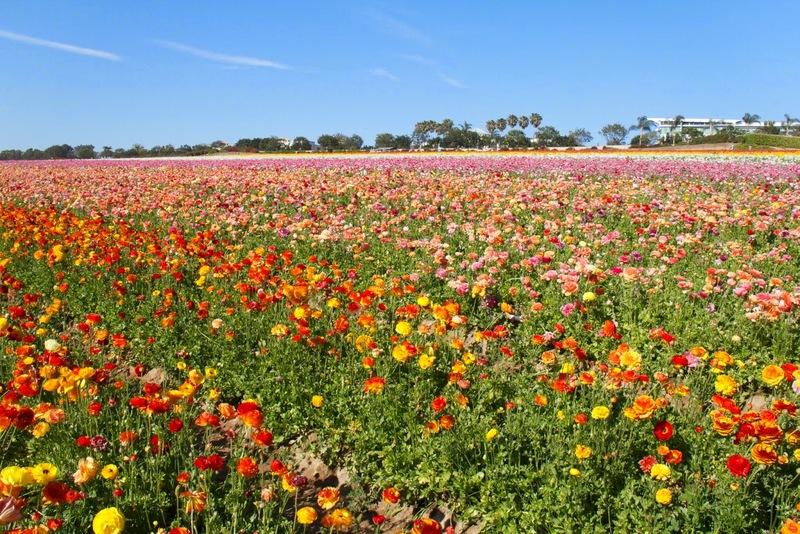 In 1958 the flower fields were planted in Carlsbad, and they received the nickname the flower fields from residents of the area that drove by. The flower fields are absolutely huge and gorgeous. It’s nice to just walk around, take some pictures and enjoy the beauty of the surroundings. Remember to wear you comfortable shoes for walking. But if you’re not much of a walker, you might be disappointed. There’s an option to ride a John-Deere tractor-led wagon around the fields if you’re into that, but it’s an extra $5 on top of $12 admission per person. 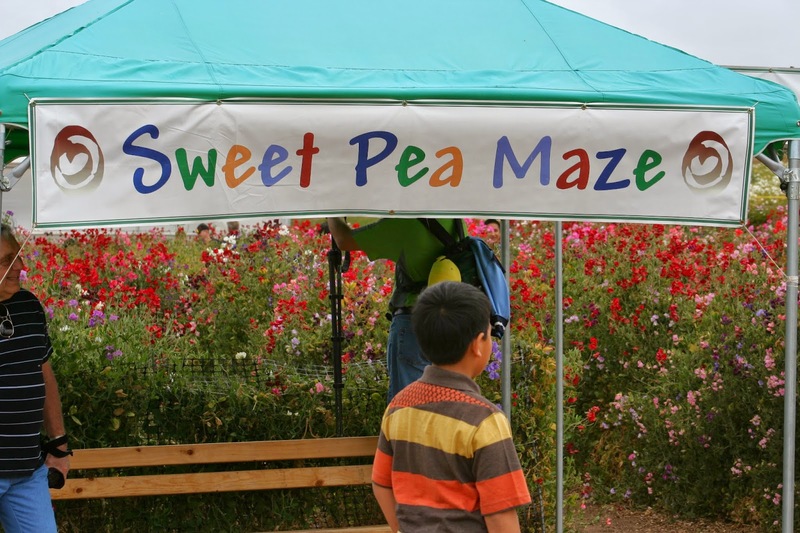 Besides taking photos in the fields, there are other attractions too, like the Sweet Pea Maze, the Poinsettia Display, Children’s playground, Mining activity for Kids, to name a few. The Fields also provide services for special events, gardening workshops, and weddings/receptions. However, parking is a big hassle here. 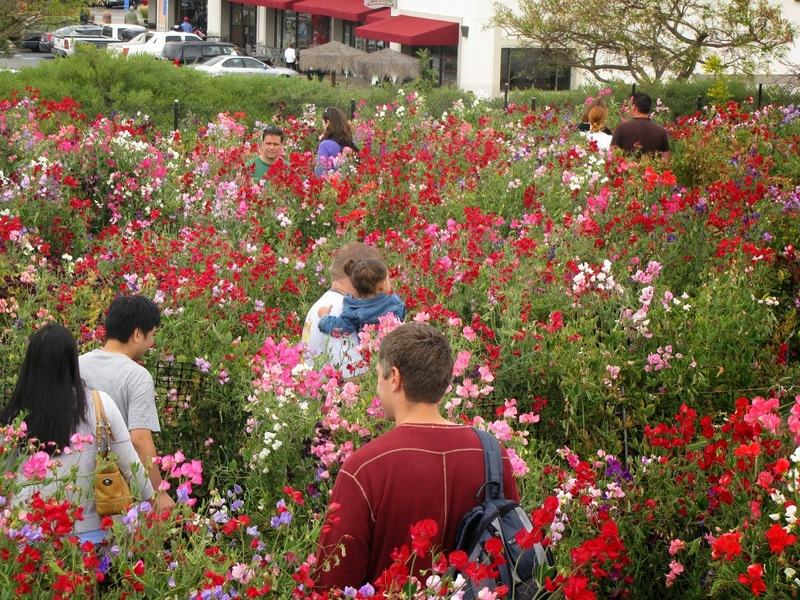 It’s right next to the busy Carlsbad Outlets and the flower fields itself are very busy. If you want to ensure parking, either come like an hour before it opens and then just hang around or coming at the very of the day. Around 4pm people were still circling for parking. 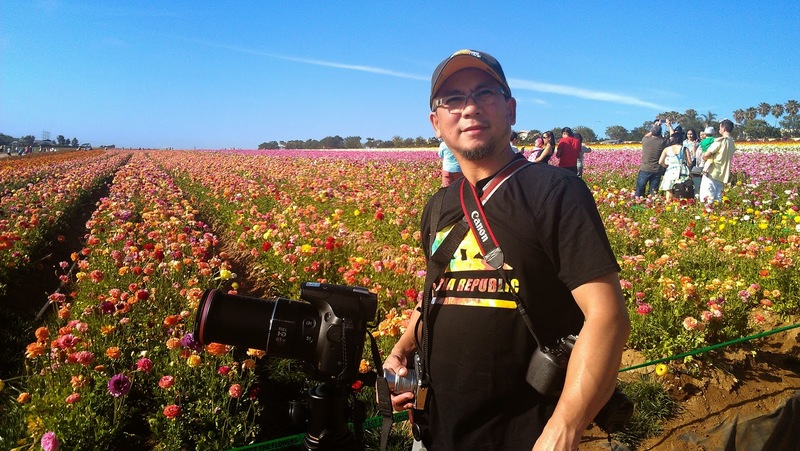 Carlsbad Flower Fields open each year from March to early May. Located just a short drive down the road from Legoland California, North of San Diego.